As I understand it, blogging is a two way street. While sure, I have to write something that other people might want to read, it helps if I read what other people have to say. Frankly, reading other blogs is probably a lot more interesting than reading the newspaper every day. You can probably get the same amount of world news by reading the right blogs every day as well, you just get more biased viewpoints, which is probably not a bad thing. I mean, the newspapers and media agencies all have their own slant, especially here in Salt Lake City! There have been a few blogs that I have been following for a while but I wanted to figure out how I could expand who I was reading and then maybe expand who found me. It really is a strange fascination that many of us have in wanting other people to read what we write. I mean, sometimes I wonder if I really have something to say that anyone cares about. It isn’t like anyone listens to me at work, I have been here for four years and sometimes I wonder who notices! The three blogs that I have been reading regularly are: Photofocus by Scott Bourne, MonsteRawr by Stephanie Van Sandt, and Youngest Around by Jessica Watson. 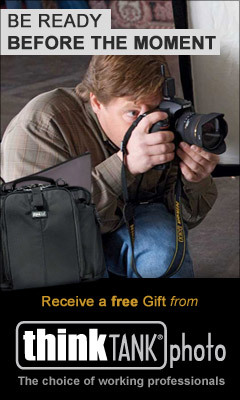 Photofocus is a great read for photographers with lots of interesting and useful information. MonsteRawr is just a firend of mine who I met through ControlBooth.com, and Youngest Around is Jessica’s blog documenting her solo circumnavigation sailing adventure. Also I have recently started to read Jim on Light as we have started to have some interactions on Twitter. So how have I begun to expand my personal blogsphere? Well, so far, mostly by reading about how to. I joined the community “20 Something Bloggers” after seeing a badge on MonsteRawr. It seemed like a community of people in the same age range as me might be a good starting point. The good thing about the community is the forums which I have mostly been reading on how to find blogs to read and increase the people who read your own blog. The top way that people seem to say is the best for finding new people to read is by looking at the blogrolls of the people they already read. At this point I figured that I needed to actually post a blogroll. It still needs some tweaking, it is kinda short, but it is there. Then of course we get back to the topic of having interesting content. Writing has always been an outlet for me, I have kept journals for a very long time, and I still have them sitting on my shelves. Sometimes I just need a place to put down some thoughts, or a place to rant, so it isn’t always meaningful. Then there is the issue of a blog being a totally public thing where anything you post can be read by anyone as opposed to a little journal that no one will read unless your siblings steal it off your shelves. So sometimes when I write for a post I feel like I have to edit what I say (which is probably a good thing). So the trick is having something to say that people might want to read but also expresses what you really want to. So how do you figure out who you want to read, and how do you find time to read them? That is the real question, and I would love to hear anyone’s thoughts on that.